The CMQG is pleased to be raffling off the community quilt that we made for QuiltCon 2018! 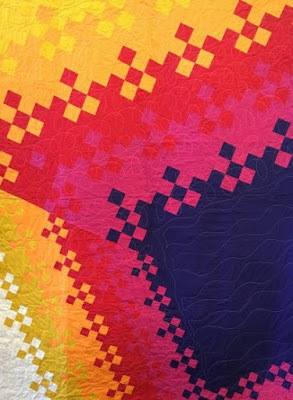 This quilt was designed and created in a group effort following the rules for the MQG, which set the color palette and theme of “Traditional Quilts Made Modern”. 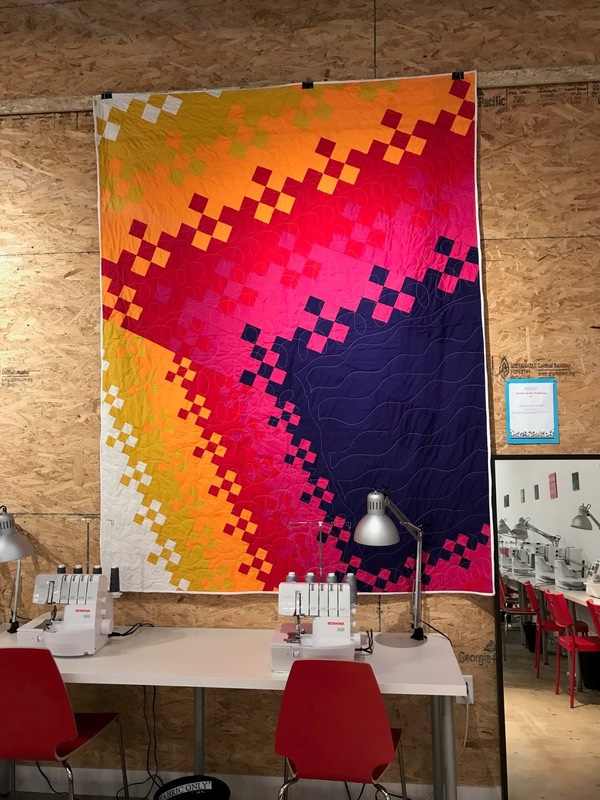 Entitled “Radient Nine-Patch” (and designed by our very own Charlotte Howard), this eye-catching quilt will liven up any room! Based on a traditional Nine-Patch block in a modern setting, the warm colors flow from the inside out. We are collaborating with Gather Here to raise funds to send kids to sewing camp held at Gather Here this summer. 100% of the proceeds from the raffle will be used to sponsor one or more teens at the week-long sewing camp at Gather Here. And even better....Gather Here is matching the donations! This camp introduces students to the functional creativity of sewing for fashion or quilting and may lead to the next generation of fiber artists. The back was pieces from leftovers in the same color scheme! Purchase your raffle tickets in person at Gather Here until May 31 and the winner will be contacted on or about June 1, 2018. Raffle is being conducted in accordance with the Cambridge License Commission. 100% profit goes towards the Kids Camp Scholarship Fund.